I was raised a Trinitarian. God is one. God is three. Period. It was one of those mysteries you just had to believe, like God having no beginning or end, or Jonah surviving three days inside a fish, or Elijah being taken alive into heaven in a fiery chariot. Pastors and youth leaders tried to help me with the concept of the Trinity, explaining that an egg was one object with three distinct parts, or showing how water was able to exist in three states—solid, liquid and gas. But they were sure to point out that all analogies break down in the transcendent wonder of our incomprehensible God. But God didn’t take on flesh and dwell among us just to die for our sins. He wanted us to know him. He interacted with us, revealing his likes and dislikes, giving us some clear teaching about his nature. If Jesus didn’t come, believers would have never developed the concept of a Trinity. In the Old Testament, God presents himself in isolation. He is adamant that there are no other gods. He insists that he will not share his glory with another. Then Jesus shows up and claims that he is the Creator and Judge, that he is “one” with his Father, and that he shared glory with Yahweh before the world was made (John 17:5). No wonder the Pharisees picked up stones. Jesus left the Church with a mystery. If you’d like to study five hundred years of angst, do some research on the Trinity. It took about three hundred years for the Church to equate the Father and Son, then a couple hundred more to squeeze the Holy Spirit in there. It all got locked down in the Athanasian Creed in the early sixth century, reflecting the progressive reasoning of church leaders against a variety of heresies. Basically the creed presents the familiar formula—one God, three persons—though it adds a little tag, (probably to avoid further angst): Believe this or burn in hell. A thousand years later, when the Reformers challenged the doctrines of the Catholic Church, they left the Trinity alone. Should they have revived the old debate? Or did those early church leaders really put all the right pieces together? One could argue that John was a Trinitarian, but Paul was not. Check out Paul’s standard greeting: Blessed be the God and Father of our Lord Jesus Christ. I’ve looked over the construction of this phrase in Greek. I even asked my professors. Could Paul mean Blessed be God, the Father of our Lord Jesus Christ, something like that? No, Paul is claiming that the Father is the God of Jesus. Can God have a God? What do we do with I Corinthians 8:6? Does Paul really believe that only the Father is God? Is there any Scripture where Paul directly claims that Jesus is God? Or the Spirit? Maybe this distinction between Paul’s titles for the Father and Son has something to do with Jesus living as a resurrected Son of David, the head of the Church, sitting to the side of his Father’s throne. Would Paul claim that Jesus was God before the incarnation, but something less after? John seemed to believe that Jesus was God. In the prologue to his Gospel he says straight out that the Word was with God, and the Word was God. Back in 1998, when Laurie and I attended a bible school in England, I felt compelled to memorize John 14 – 17. I didn’t understand it completely, but I knew that it was important. As I memorized, I was able to put a few things together, concepts that completely changed my understanding of the Godhead. Paul the scholar is a much better communicator than John the fisherman. But John’s insights are no less simple. In fact, he seems to know Jesus on a more intimate level than any other New Testament writer, which is probably why he felt compelled to add a fourth Gospel to the canon after Matthew, Mark and Luke had been in circulation for years. Yet in the midst of all this individuality I noticed a connection between these spirit beings that was unlike the human relationships I had experienced. Somehow Jesus had a connection with his Father that allowed him to say, “When you see me you see the Father” (14:9). Somehow, just after Jesus explained that the Holy Spirit would be coming to indwell his disciples, he said, “I will not leave you as orphans, but I will come to you” (14:18). Clearly the unity on the Godhead is a relational unity, not some mysterious algebraic formula that only the angels can understand. A careful study of John 14 – 17 shows that the Father indwelt the Son by the Holy Spirit, but Christ had to willfully subject himself to his Father. He did this because he loved the Father and wanted nothing more than to glorify him in the world. This is about love, not slavery. Think of the temptation of Jesus: “Man does not live by bread alone but by every word that proceeds from the mouth of God.” Think about what Jesus said as he was being taken to his execution. He could have called twelve legions of angels to his disposal, but he didn’t. Why? Because he was obedient to his Father to the point of death, even death on a cross. So Jesus receives from the Father, and the Spirit receives from Jesus, and we receive from the Spirit. Each member of the Godhead is eager to lovingly serve and glorify the other. So when we hear from the Spirit, who have we heard from? Jesus? The Father? Yes. There’s a reason Jesus said “pray to the Father.” The Father is on the throne, Jesus is at the Father’s right hand, and the Holy Spirit is on earth with God’s people. Yet they function as one, a relational unity based in their loving nature. Paul encourages the people of God to deny themselves as well. He says to walk by the Spirit, not the flesh. Peter says to let our words be as the very words of God (I Peter 4:11). Sound familiar? Basically Jesus came to earth to not only reveal the relational intimacy of the Trinity, but to invite humanity to join it. I think the Cappadocian Fathers would resonate with this approach, and add some helpful insights. St. Augustine might beg to differ. What do you think? Am I making this too simple? Am I stepping outside of orthodoxy? What approach would you take? This entry was posted in Christianity, theology and tagged divinity of Christ, Holy Spirit, Trinity. Bookmark the permalink. From Constantine through Nicaea we have Mithra’s birthday as Christmas. We can’t give up Christmas, so we will probably continue to drag around the loose canon of the Trinity. It is not in the Bible, and Jesus did not talk about it. I agree that, historically, the doctrine of the Trinity can be problematic. The word is not in the Bible. But what do you do with the word “Godhead”? What do you do with Jesus talking about baptizing in the name/authority (singular) of the Father, Son and Holy Spirit? It seems that there are three distinct spiritual persons at work in the New Testament. How would you relate them to one another? Three gods? I called them a relational unity, which seems to reflect his value system—like when he called Adam and Eve “one flesh.” How would you relate those persons? It comes down to “God is love (agape’)”. 1John 4 We need to phrase everything in physical terms, but God is spirit and has no dimensions that need to be meshed. Ultimately we become all in all, not three in one. When you hear, “Not my will but yours be done,” do you think of two distinct spiritual persons? Two free wills with one in the willing service of the other. “Thy will be done”. The ultimate unity is, not one note, but harmony. “One band, one sound”. Beyond that one sound is the many wills intent on making it one sound. One sound, not many simultaneous solos. One sound through eternity, not a few notes in the moment. God is love. God is infinite. No conditions and no dimensions. We are created in an image, not a replica or model. “Let Us make man in Our image, according to Our likeness…” This is not a group photo of smiling faces, but the image of the joy around those smiles. But, for the moment, we are seeing but not seeing, and hearing but not hearing. Maybe we won’t get it, but we will be welcome into His joy. We invest our talents and are welcome into His joy. Not wealth, nor comfort, but joy. What kind of a deal is that? YES! I completely agree. I used to see the Father, Son and Spirit as some incomprehensible unity. Now I recognize them as harmony, a relational harmony of free persons, united in love. Beautifully put! 1 Corinthians 15:24-28 notes that all dominion, authority and power will be destroyed, and the Son himself will be made subject, so that God may be all in all. 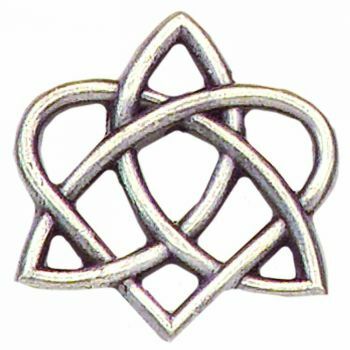 Any thoughts about “chain of command” would be short term as we are looking for a harmonious future of being all in all. At the creation, God speaks in plural “let Us make man in Our image”. (Gen. 1:26) And when God creates diversity “Come let Us go down and there confuse their language, that they may not understand one another’s speech. So the Lord scattered them abroad from there over the face of the earth” (Gen. 11:7-8) Interesting change from first person plural to third person singular. First of all, God is of a “substance” unknown to man because everything in this universe is created while He was not. The closest my mind can come to explaining Him with that which we are familiar is a cloud, which is made of tiny droplets The wind blows and suddenly there are three clouds. Which is God? The wind blows again and there is one cloud. Where did the three go? One is within the other and all three are one, the droplets moving freely among each other under Brownian Motion. God is certainly of a different substance than man. No arguing that. But when God creates man in his image and likeness, how is likeness communicated? If not in substance (assuming we can use that word), in what? Nature? I like to think that God created Adam with himself in mind. If he was always planning to take on flesh and dwell among us, he would have created something that he himself could inhabit and communicate through. Thus humans became a unique creation that could express the life of God. Which means, at some level, we should be able to connect with him, and experience a quality of God that even the angels don’t have. I think you did a fairly decent job putting words to the Trinity. There are a lot of things Jesus didn’t explicitly say or talk about but the truth can be and should be searched out through the entirety of scripture nonetheless. Jesus does say to make disciples in the name is the Father, Son and Holy Spirit…one “name,” right? Three in one. Now, I am not a “theologian” by schooling nor by natural inclination. In fact, I probably lean more towards the “God said it, I believe it” bumper sticker theology. 🙂 But I tend to think that while the trinity is “God in three persons,” they are willingly subordinate in structure. The Holy Spirit, who has qualities only God has (all-powerful, ever present and eternal) has the job of brinigng people to Jesus and Jesus to God. I don’t know. It makes sense in my head. If I believe there is only one God and I believe Jesus and the Spirit have qualities only God has, then it’s not a far leap at all (with scriptural support) that they are a trinity. For me, the challenge is looking for the implications and applications of such a concept. Once we settle on a relational Trinity, we can look back through the Bible and it can redirect our understanding of how and why God works as he does. A loving, relational sovereign will function much different than a glory-mongering egotist or a power-hungry control freak. Human freedom will be more prominent, because love requires freedom in order to be genuine. Freedom can lead to realities that are not as “neat and tidy” as we might like. Also, Jesus prayed that we might be one, even as THEY are one (John 17:22). What does that look like? How can sin-born humans reflect the unity of the Trinity? That’s why I ended the blog the way that I did. We have a chain of command—-Father, Son, Spirit, Church. If the Church can act like the others, the Church will exude God’s love and power in the world. If not, we will look, well . . . like we do.